Lee Reich provides a valuable guide to uncommon fruits and berries, which add an adventurous flavor to any garden. Though names like jujube, juneberry, maypop, and shipova may seem exotic at first glance, these fruits offer ample rewards to the gardener willing to go only slightly off the beaten path at local nurseries. Reliable even in the toughest garden situations, cold-hardy, and pest- and disease-resistant, they are as enticing to the beginner as to the advanced gardener. 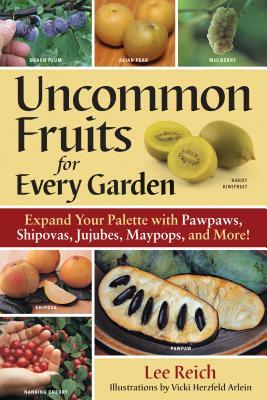 This expanded sequel to the author's celebrated Uncommon Fruits Worthy of Attention offers new fruits, new varieties, and new photos and illustrations to entice the reader into an exciting world of garden pleasure.